One of the most common reasons that a trip out of the United States gets delayed is because the traveler suddenly realizes that they do not have their appropriate visa or passport required upon arrival at their destination. 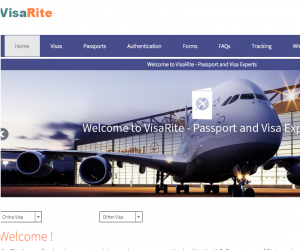 Instead of waiting the standard three to six week processing time (which you may not be able to afford depending on the circumstances), let Visa Rite and their expedited passport services handle everything for you. After you download and fill out the appropriate paperwork, Visa Rite officials will submit all necessary documents on your behalf. They will then hand deliver your renewal visa, your new visa, your passport or any other type of document in as little as 24 to 48 hours depending on a number of key factors like your location.